MIT Sloan Boston Alumni Association - 2017 MIT Sloan CFO Summit: "Balanced Chaos"
2017 MIT Sloan CFO Summit: "Balanced Chaos"
Registration closes Monday, November 13 at midnight. Email Tina Kruczynski (tina@mitcfo.com) to purchase a ticket. This exclusive event, now celebrating its 15th year, brings together financial executives from around the world and leading faculty from across MIT. As businesses embed mobile and digital technology, leading CFOs are helping their companies connect in new and exciting ways. Time: 7:30 am - 6:15 p.m.
MIT Alumni receive a 15% discount off general registration ticket. Note: Refunds are permitted until 5 PM ET November 13. We will refund the ticket price less $20 processing fee to manage our fixed costs organizing this event. To register, and for more information, navigate to the MIT Sloan CFO website. The MIT Sloan CFO Summit is the nation’s premier CFO event. Each year, the event offers a day of cutting-edge programming that addresses the changing role of the CFO. The event is rich with opportunities for practical education and peer networking in a time-efficient format. 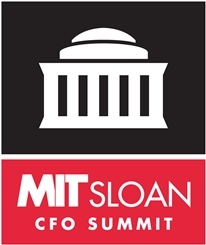 The summit is part of the CXO Series produced by the MIT Sloan School of Management, one of the world’s leading academic sources of innovation in management theory and practice, and the MIT Sloan Boston Alumni Association. The annual events are organized 100% by alumni volunteers. By promoting the MIT philosophy of “mens et manus,” or “mind and hand,” they are able to bring together the academic research from MIT Sloan with today’s corporate financial leaders.